I went to this event at the society of illustrators. 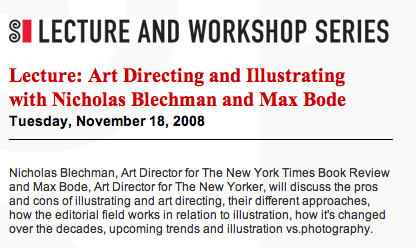 the lecture of Nicholas Blechman and Max Bode. that was so much fun! I learned a lot from them.